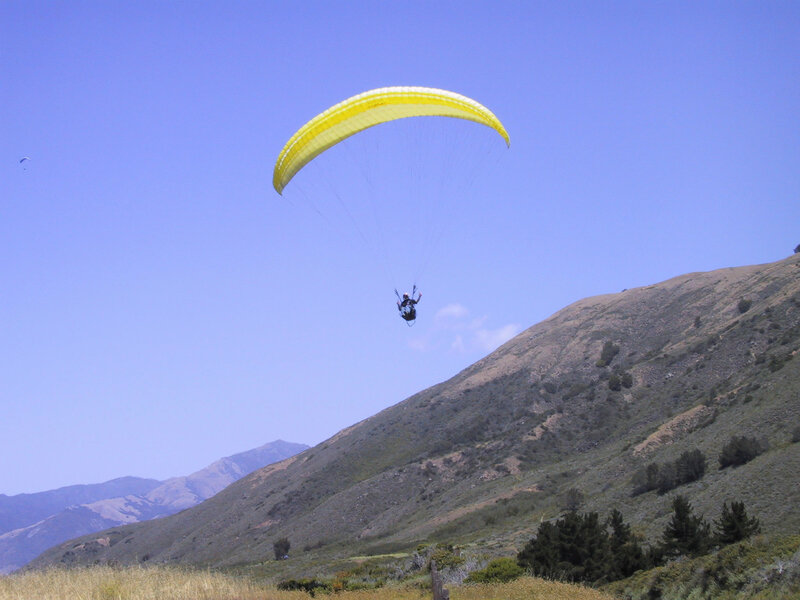 Site Guidelines: Big Sur is an extremely beautiful place to fly. Conditions here can be suitable for Novice and above pilots. 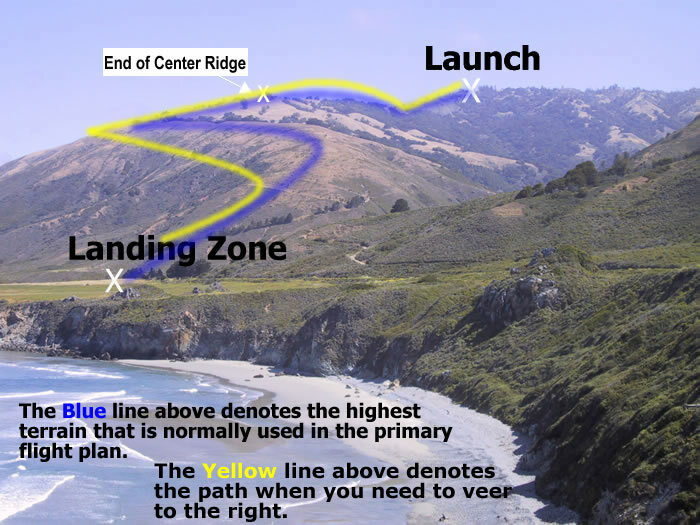 There are days that it is not suitable, normally when there is moderate to strong wind at launch or even more so, strong winds in the LZ or coming in from the ocean. Watch for any sign of whitecaps coming in from the ocean – this is a sign to seriously consider not flying. 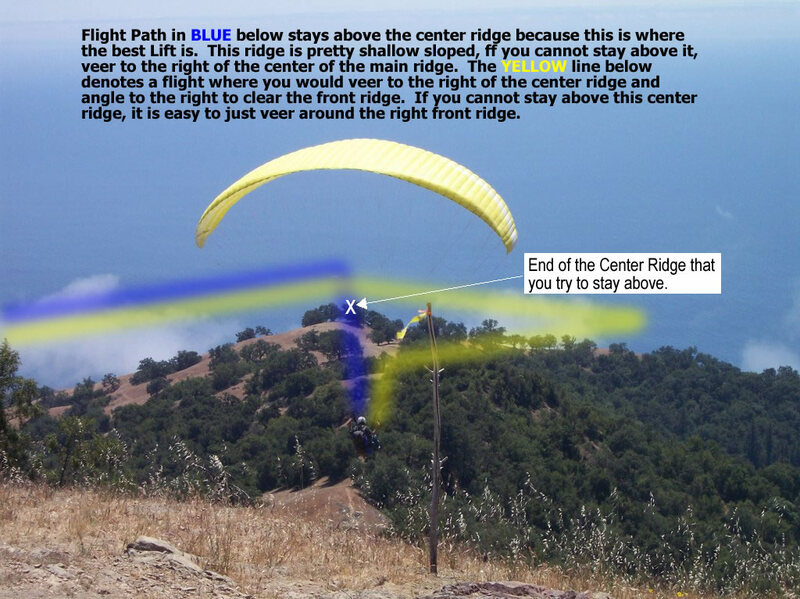 Access: Two wheel drive, paved to top of ridge, then dirt traversing ridge to the south. It is a full 1 hr drive from LZ to launch or visa versa! Find your way to San Jose and Head South on Hwy 101. A Little more than 10 miles south of Gilroy, near Castroville, take Hwy 156 West. Stay on 156 W. to Hwy 1 South. Continue on Hwy 1 about 67 miles – through Monterey, Carmel, then onto the Big Sur Peninsula. Plaskett Creek, although we call it the Big Sur flying site, is at the very south end of Big Sur. At the end of the Big Sur Peninsula is a small town Called Lucia and just after this, the road drops down from high cliffs to a flat section with a low mesa not much more than 100′ above the ocean. 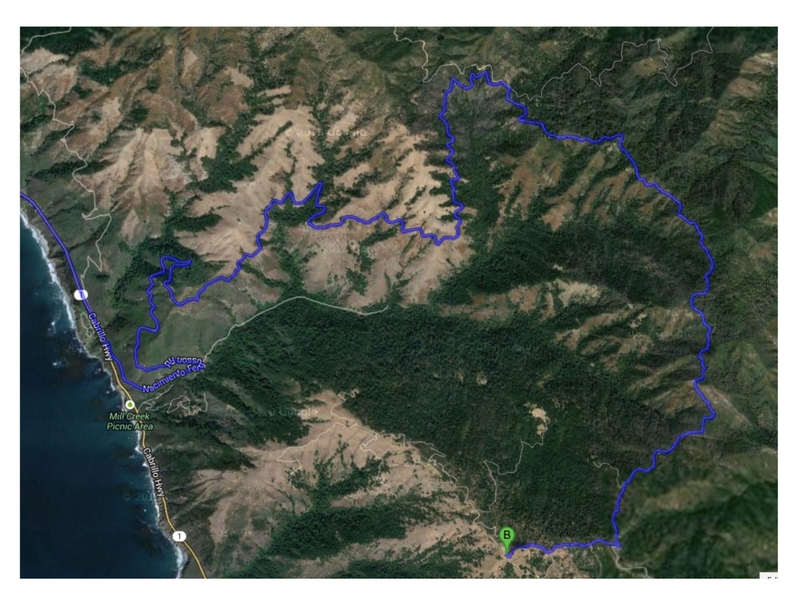 Just south (a mile or two) of Lucia, on the left will be Limekiln Campground. 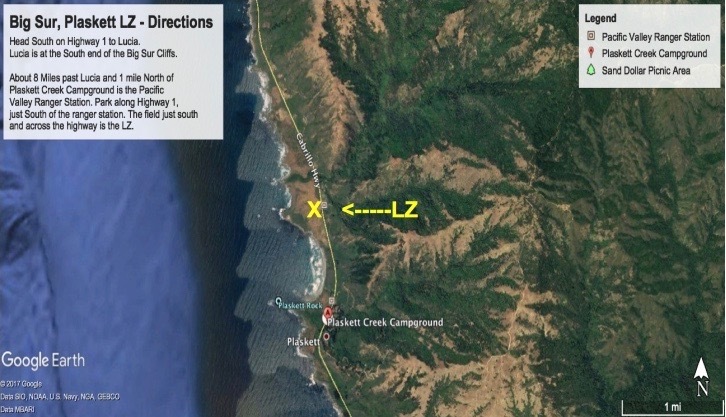 9 miles south of Lucia is Plaskett Creek Campground. The benefit of Limekiln is it has showers and takes reservations during spring, summer and fall. Plaskett is prettier, but does not take reservations or have showers. This is not easy, but the best I can do. Nacimiento Road is just South of the Town of Lucia. Take Nacimiento Road all the way up to the top of the ridge and turn right at the point where the paved road just crests the coastal range and begins to descend on the east side of the road. There is a dirt road there that runs along the top of the ridge. This road is 2 WD accessible, but vehicles with good ground clearance and good traction would be highly recommended. Head south on this ridge road about 20 minutes or so till there is a split in the road with a fairly steep right handed Y branch. This is the road to the Wild Cattle Launch. Follow this to the end of the ridge. Veer to the left when the main road starts to descend – Launch is 150 yds further.